Have you ever given a thought to the reasons why after 30 years Bouyon has been unable to impact as much as Cadence did in the 70's? Is it just a marketing issue? Certainly the lack of marketing and promotion of the music is major, but not necessarily on the radio stations as Bouyon was more readily accepted and did not receive the resistance that creole got in the 70's as the vehicle for most Cadence compositions. That is thanks to the visionary work of DBS' manager Dennis Joseph, Ferdinand Frampton, DJ Ted Daley and others. Maybe one of the major reasons why Cadence moved so quickly was because most of the big major bands- Exile, Grammax, Liquid Ice, Bill O Men-were all in exile and the music was produced and promoted by Guadeloupe and Martinique, the gateways to France and eventually Europe and Africa. Up to this present time the music is still a force in these territories and surprisingly certain parts of Africa where the population runs in the millions. Obviously the business side of the music is another factor as Gordon, Jeff, Fitzroy and Ophelia in particular benefitted from copyright royalties via Sacem. Exile's music even received gold status and the guys are still receiving royalties from hits such as "Rosita", "Fresh", "Traville Pou a Yen" even while I write. 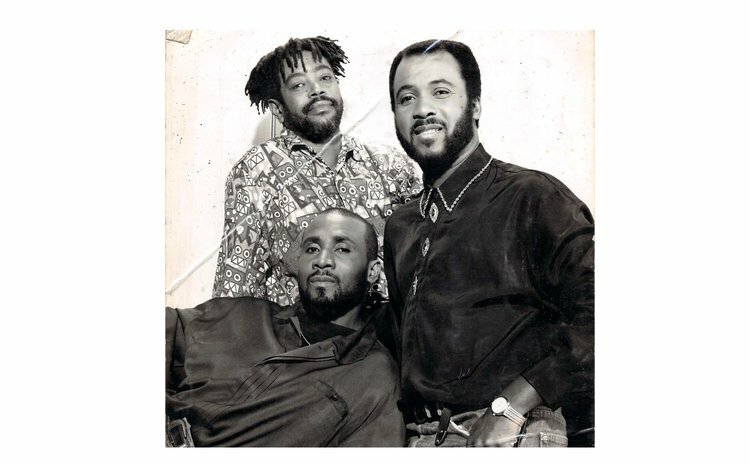 All the groups of that era had powerful vocalist and sound lyrical content; Ophelia- Lady Patriotism; showman and one who could sing for an entire week without losing his unique vocal quality- Jeff Joseph; the mighty vocals of Linford John of Bill O Men; Chubby- the fantastic social commentator; the soothing vocals of Pato of Black Roots and Tony Valmond of Liquid Ice ; Harley and Mike Morrow, the James Brown and Mr. Smooth of Belles Combo; and Gordon Henderson, one of the originators –a signature vocalist and in-depth lyricist. The rich, though provoking lyrics must not be left out from the equation even while acknowledging both Chubby and Gordon were first calypsonians before their Cadence exploits. Maybe it was the era of social unrest, of introspection, search for self, the wave of the 60's & 70's consciousness, Black Power and Rastafari, but it worked and the French took note. In fact, Ophelia was the only other woman in the English speaking Caribbean apart from Barbados' Spouge Queen Wendy Alleyne who first ventured into a solo music career as a woman. She lived what she sang- love, togetherness, nostalgia, patriotism and so carried herself as the lady that we know her to be- long dresses and skirts, head-ties similarly to Bob Marley backups- The I- Threes. It was not only the content of the music but it was the way it was presented. There was a story line one could follow, distinct verses and choruses and of course the instrumentation executed by clear vocal harmonization. Yes, very relevant were the players Fred Nicholas and Bentley James who also played with Arrow, known at the time to employ some of the regional best musicians for his tours: Fitzroy Williams, Frere Soul, Julie Martin, Vivian Wallace, T- Pam, Bolo, Henry, Marcel 'Coe' Mark, Natty Wayne on saxophone, Zyro, Avril Henderson, rhythm guitarist Julie Mourillon, plus French man Pierre Laborne just to name a few. We are talking here about quality musicians who could stand on their own in any market or genre. Can we truly say that this pedigree of musicians exist today in similar volumes? So, obviously, if the musicians and vocalists were outstanding then the arrangements, execution, solos etc. had to be and they were. Just listen to the guitar riffs of Julie Martin on 'Dance ma Cherie' or the keyboard execution of Fitzroy Williams on so many of Exile's hits or the bassline feature by Fred Nicholas on Bill Thomas' "Africa" or the saxophone expertise of Pierre Laborne on the work of Midnight Goovers, Exile or even Black Affairs. Guys, you know what I am talking about. What about the drums of Sty Larocque or Henry Bellot? Discipline perhaps is the overriding factor that allowed these musicians and groups to excel. Jeff Joe, before his passing, told me of the hours of practice that the band endured living together, sharing the same room and bathroom, just to realize their dream. As a DGS student in the 70's, I remembered I was aspiring to be a bass player and consulted Fred Nicholas who said he spent over 12 hours daily on his guitar; he lived, dreamt and ate music. The stories of other musicians of that era are not so different. Finally, the rift that seems to exist among even the pioneers of Bouyon did not exist in the Cadence era. One can still get Exile One to come together to play for the World Creole Music Festival or to do a tour as long as their jobs and other commitments permit after almost half a century of their musical journey. But just after a couple decades one sees the factions in WCK vs OBP or a First Serenade vs "The one and only Serenade"; yet no one has produced a gold record or sold a million copies as Exile has done. I was rather distraught when a few weeks ago I was apprised of the unsavory words on social media hurled at each other among elders of the Bouyon genre about who started the genre? Probably we should all listen to the Shelly- Signal band inspirational track and "A ni bi yo love'. A lot can still happen for this infectious rhythm we call Bouyon but if we continue with business as usual then it is a long road ahead.